The key to every successful system is the correct installation. At TCR Watering Systems we have the experience of installing all sizes of systems, from simple hose pipes to fully automatic computer controlled systems which adjust water usage depending on rainfall, temperature and sunshine. 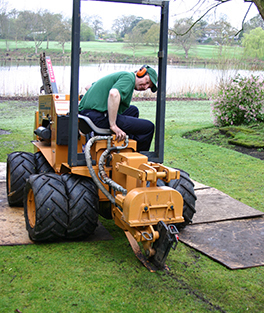 By only using our own staff, and using the correct equipment, whether a mole plough machine which installs pipes under your grass without open trenching to using a shovel. We endeavour to install a system for you so when we are finished you won’t be able to see we have been there.